Housing bigger 20W speakers, the TV comes with a Bluetooth remote voice control which is its key feature. 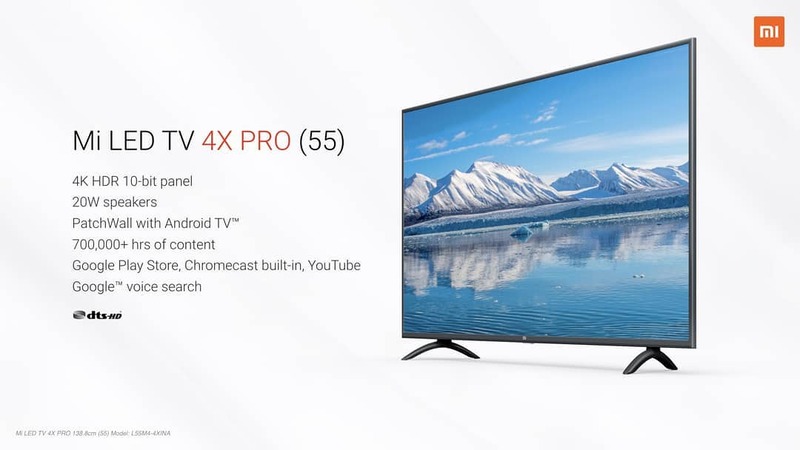 Launching its latest products in the Indian market, from the Mi TV lineup, Xiaomi has introduced two smart TVs- Mi LED TV 4X Pro of 55-inches and the Mi TV 4A Pro of 43-inches and a smart speaker that can be paired with the TV, the Mi Soundbar. While the Mi LED TV 4X Pro is priced at Rs 39,999, the 4A Pro is priced at Rs 22,999. 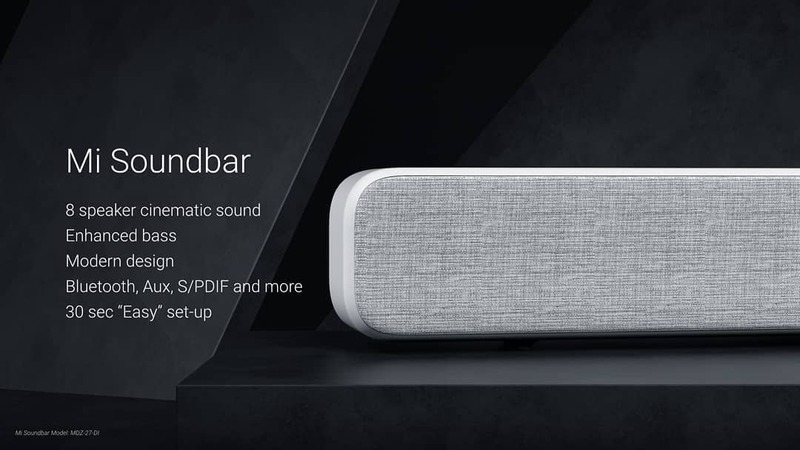 To compete in the home audio space, the Mi Soundbar, priced at Rs 4,999, is the first audio product from Xiaomi. 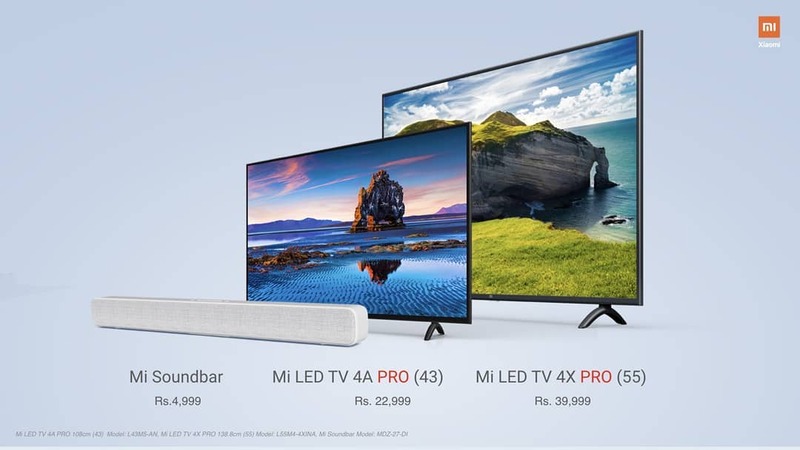 The TVs are expected to go on sale from 12 pm onwards on 15 January whereas the audio product can be availed from noon on 16 January via mi.com. “We are very excited to take the most exciting category forward with the new TVs and add our first new category for 2019 – Mi Soundbar to our portfolio. I am hopeful that our Mi Fans would love the product with as much enthusiasm as has gone into building it” said Eshwar Nilakantan, the Category Lead for Mi TVs in India. With a 55-inch display panel that also supports 10-bit color and HDR10, the new Mi TV 4X Pro runs Xiaomi’s custom operating system PatchWall OS with Android TV, having 4K UHD resolution and 20W stereo speakers with support for DTS-HD surround sound technology. Powered by a 64-bit quad-core processor, the TV features 2 GB of RAM and 8 GB internal storage. The device comes with Wi-Fi, Bluetooth v4.2, 3 HDMI ports, 2 USB Type-A ports, one S/PDIF, and an ethernet port in terms of connectivity and compatible with the Google Play applications on the smart TV which the users can access. Housing bigger 20W speakers, the TV comes with a Bluetooth remote voice control which is its key feature. 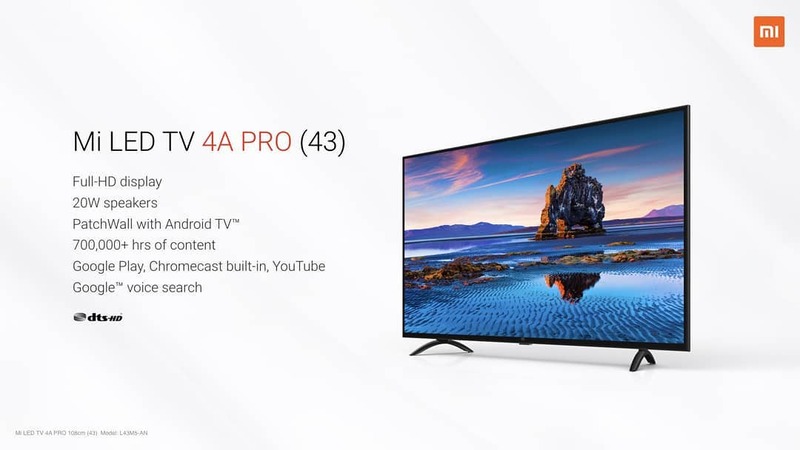 On the other hand, with a 43-inch display the Mi TV 4A Pro comes with FHD+ resolution while running on 1GB RAM and 8GB internal storage, having rest of the specifications similar to Mi TV 4X Pro except that Mi TV 4A Pro will also come with a 3.5mm audio socket. As for the Mi Soundbar, packing five options for connectivity including AUX, Optical, Bluetooth, S/PDIF, and Line-in making, the audio product sports eight drivers in total including two 20mm dome tweeters and two 2.5 woofers and four passive radiators, making it compatible with any TV in the market.